The cupcake nail art design will always have a special place in my heart and I will probably be emotional about it everytime I wear it or see other nail art enthusiast recreate the design. It was my first freehand nail art that paved the way for my nail art blog to be recognized. My version of the cupcake nail art has been revived countless time and it made me a proud mama! 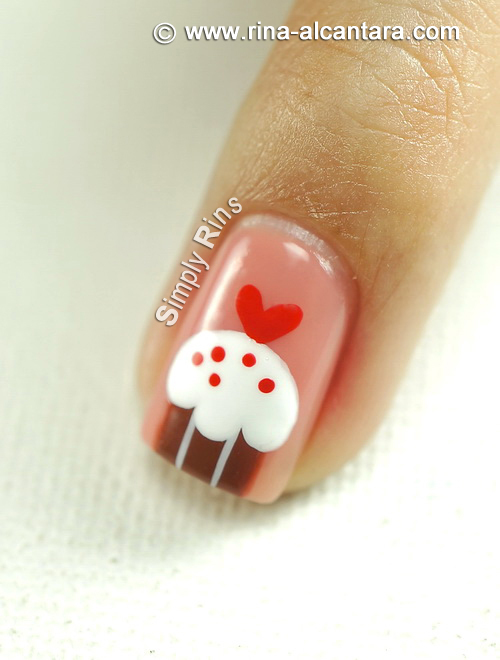 I published the design on August 2010 that I simply titled Nail Art: Cupcakes. The idea was to come up with a method that would make painting cupcakes on nails easy. Reading the post brought back a lot of memories and it made me realize how much I've grown as a nail artist / blogger. This is actually a response to a request I received via email asking how to paint cupcakes on short nails. The method is basically the same, making one adjustment to make this design possible for shorter nails. 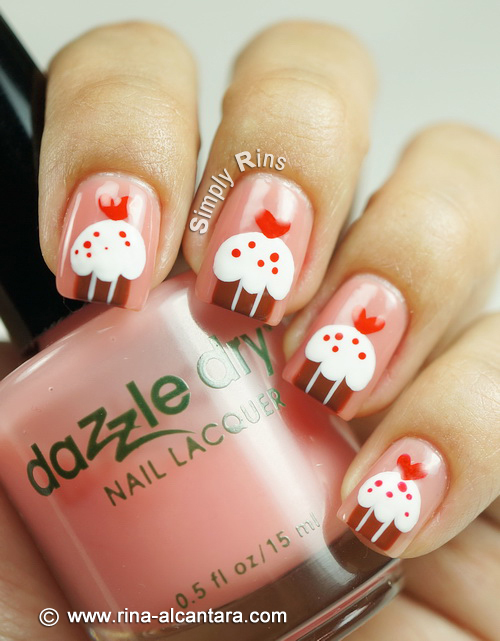 I normally prefer a clear background when I wear cupcake nails. But for this tutorial, I decided on 3 coats of Dazzle Dry Pedal to the Metal. It is a highly sheer polish but with 3 layers, it gives a very translucent finish that I thought really made the cupcakes pop. To make this work for shorter nails, paint the cupcake base/holder only on the center of your nail tip, leaving a space on both sides. This will determine the size of your cupcake. You can now adjust the height of the cupcake accordingly. In my original version, I used the entire width of the nails. The request also asked for a video tutorial which I managed to squeeze in. Unfortunately, some scenes were out of focus (my bad) but overall, watchable. I believe the cupcake nail art design will remain to be my utmost favorite for all the personal reasons I have attached to it. It is simple, fun, and timeless. 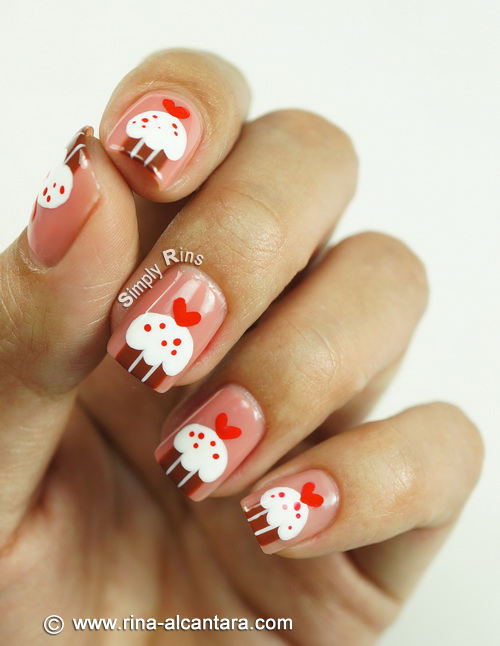 Have you tried wearing cupcakes on your nails? I just love this mani, so sweet! You have such great control of your hands! Will definitely try this! Makes me want dessert right now! so cute, i love all of your cupcake designs. you seem to use dazzle dry quite a bit. do you ever have problems with it shrinking away from the cuticle and nail tips? any advice for someone with those issues? But I am loving your work and the ease with which you do it....marvellous!! !